Logo design for a painting/renovations company. Logo design for a local landscaping company. 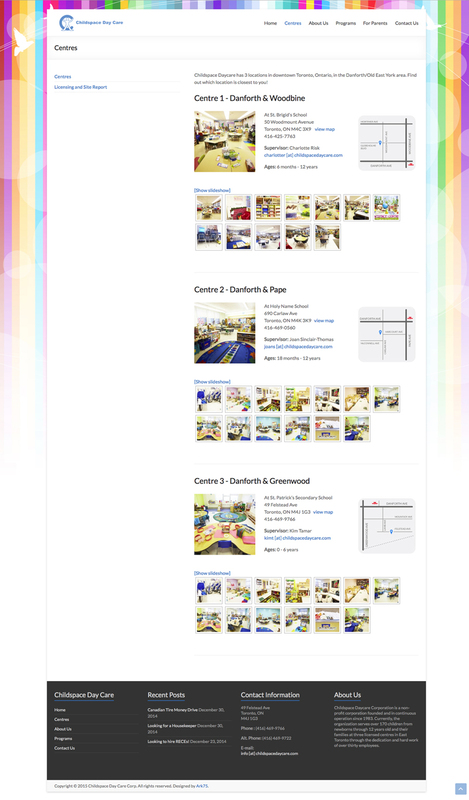 The existing statistics were outdated and unsourced, so I did some research for the client and collected data to create this infographic! 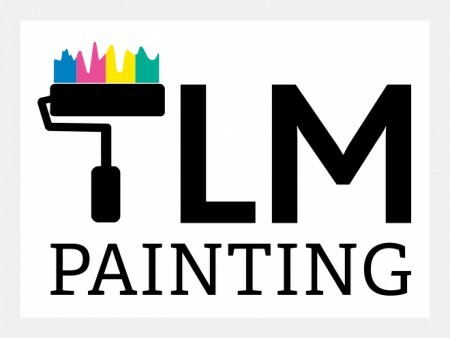 This logo is designed for a local cleaning and housekeeping service. 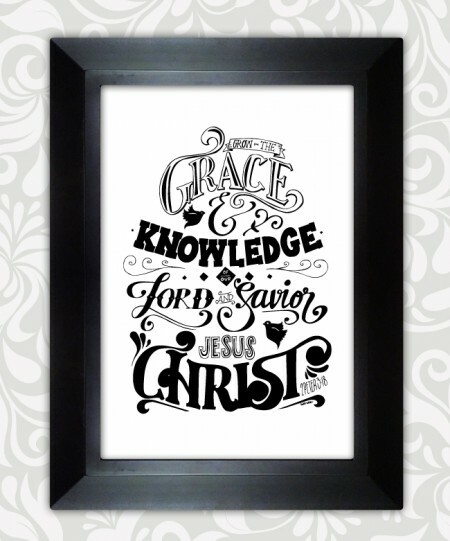 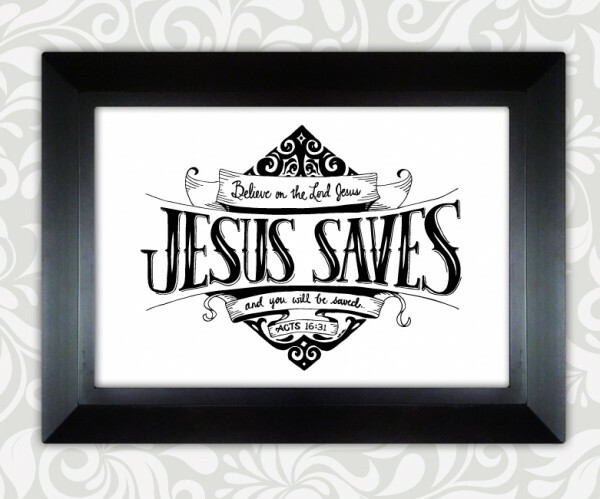 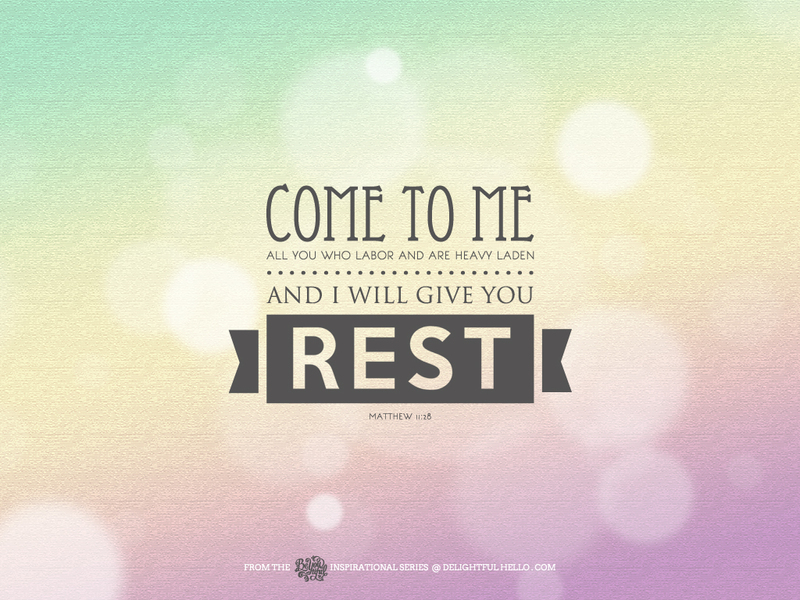 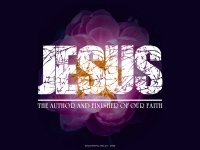 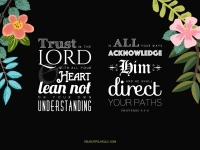 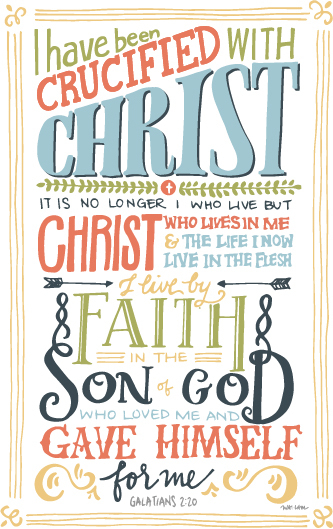 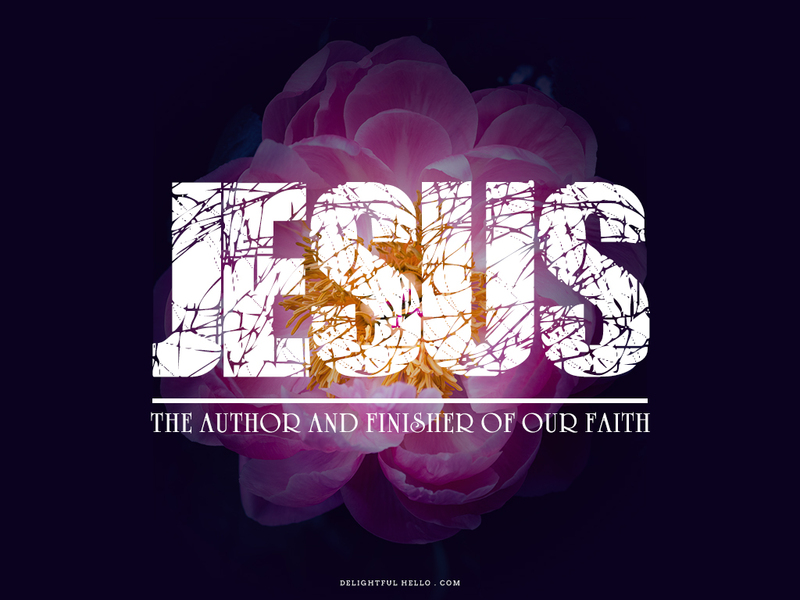 Designed for 5ft x 8ft banner hung in church sanctuary. 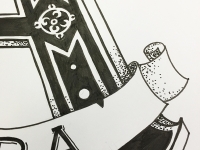 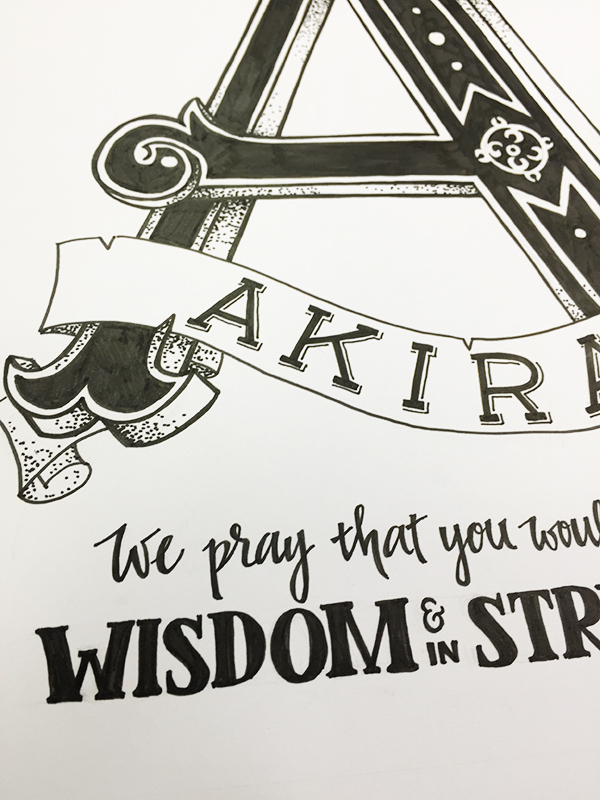 I can’t think of anything more honourable than to be asked to create art pieces to help keep memories alive of a lost family member or friend. 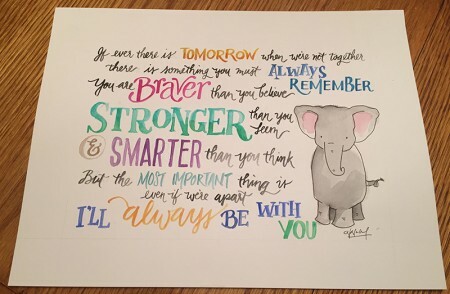 This is for a friend and his wife who lost a child. 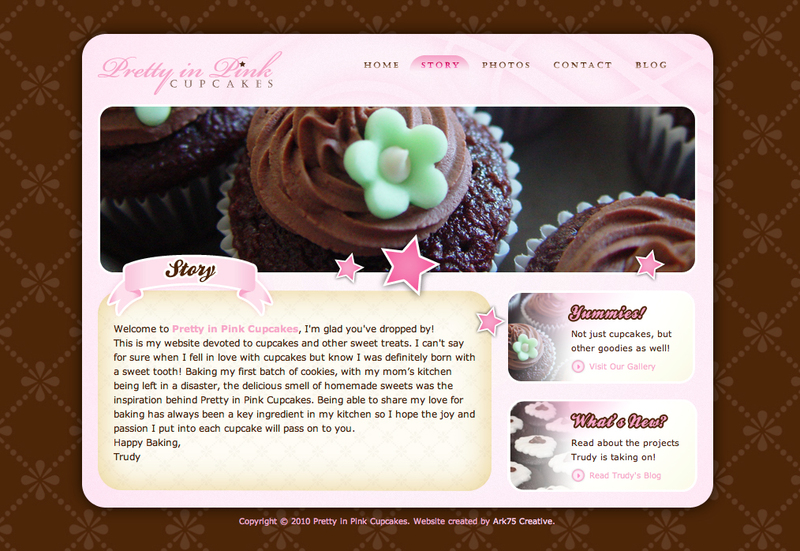 Designed a series of desktop and mobile wallpapers for Delightful Hello to promote blog articles. 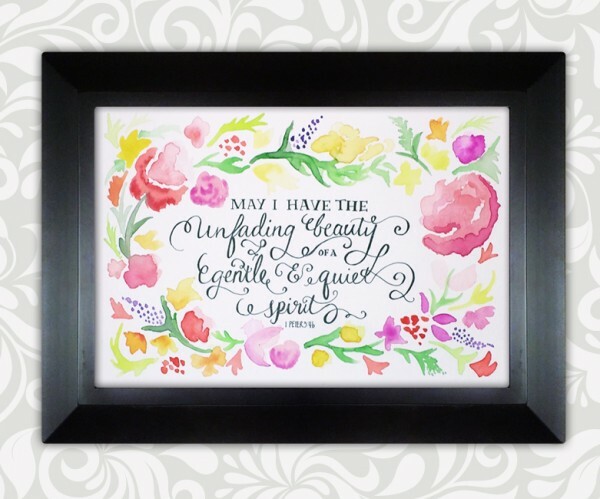 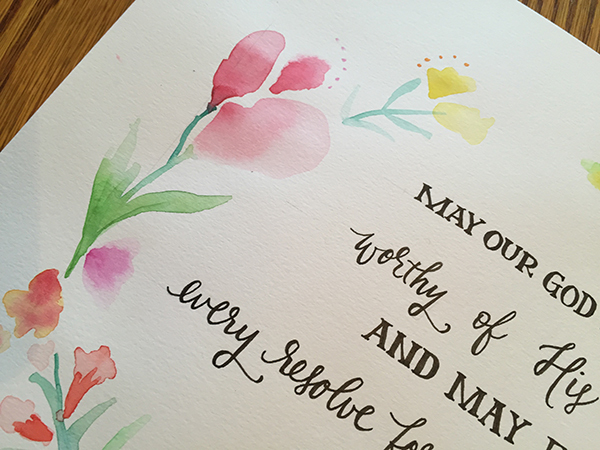 Custom watercolour and hand letter of a personalized prayer. 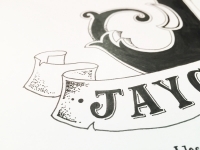 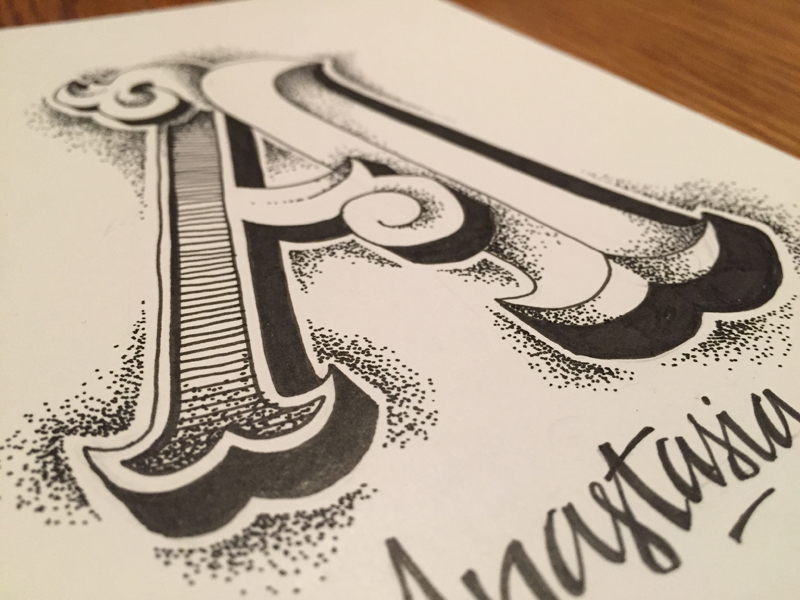 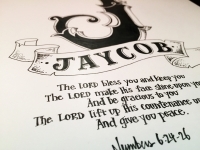 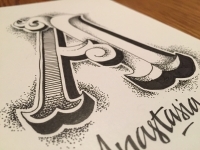 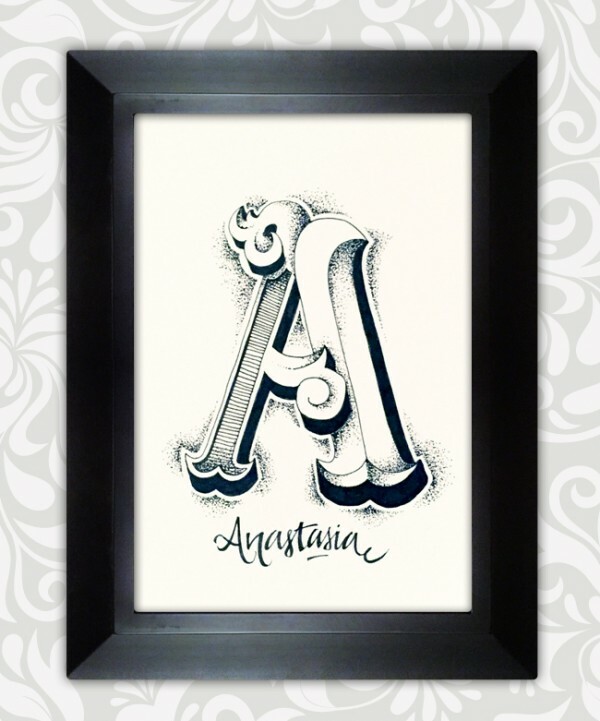 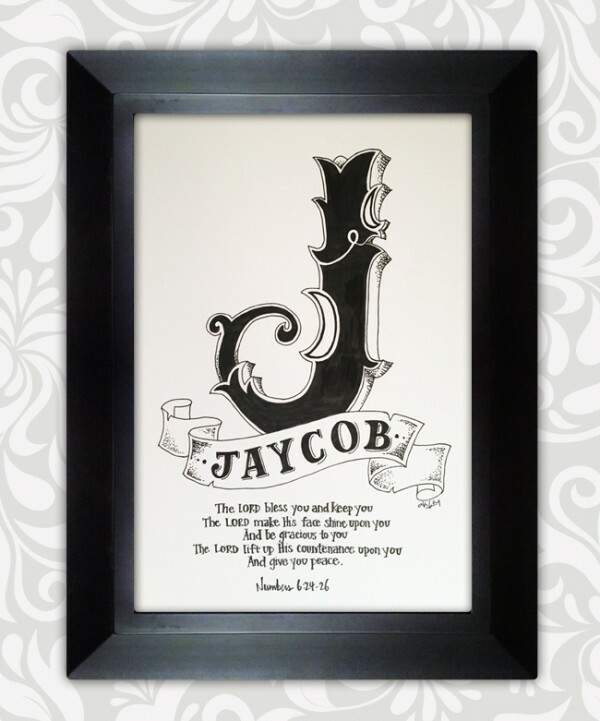 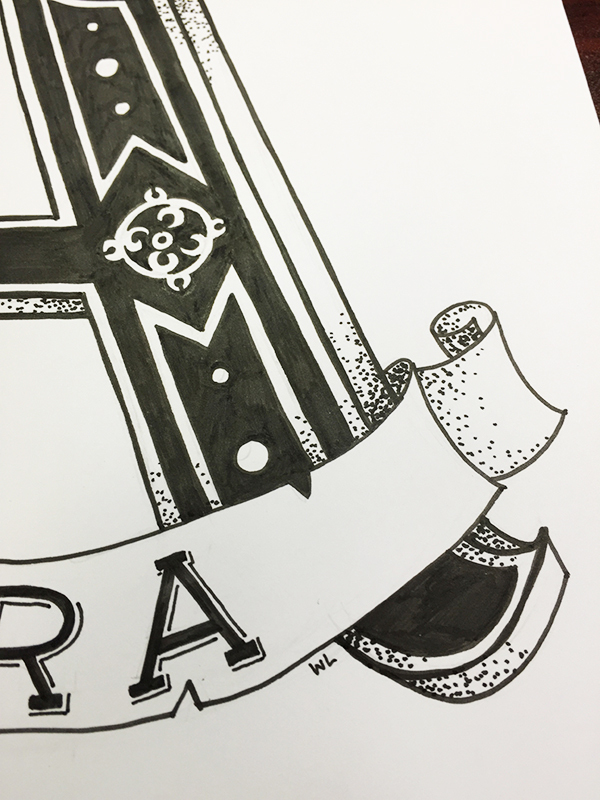 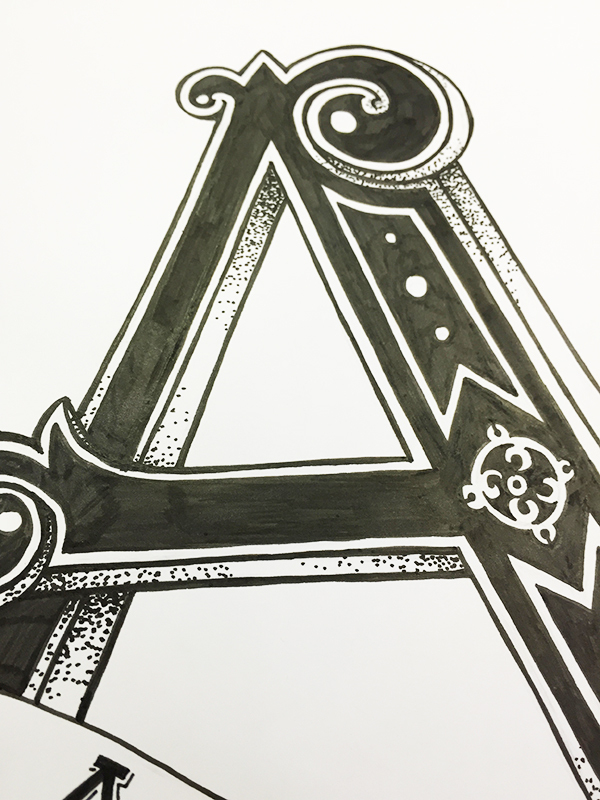 Custom hand lettered monogram for a baby dedication. 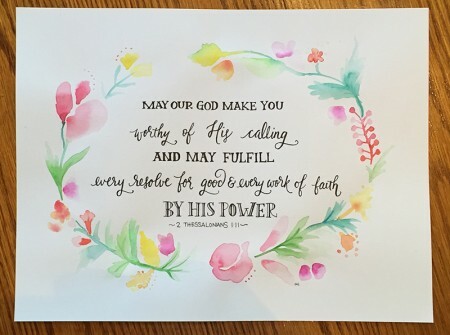 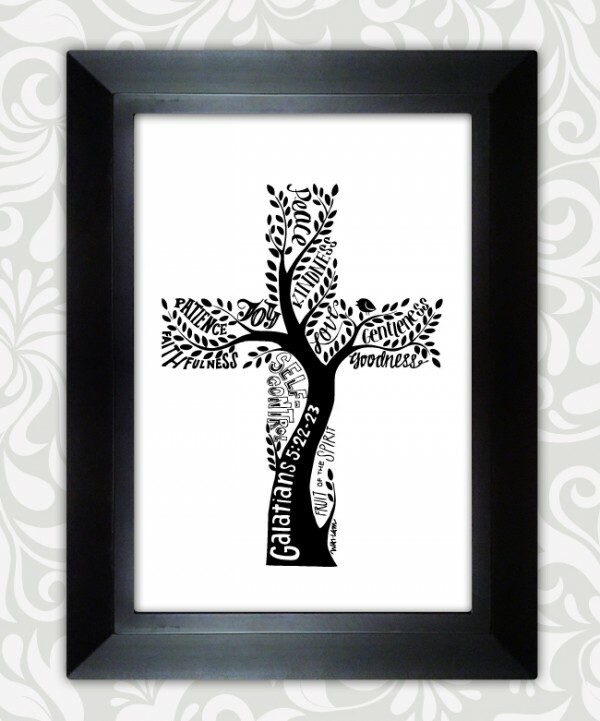 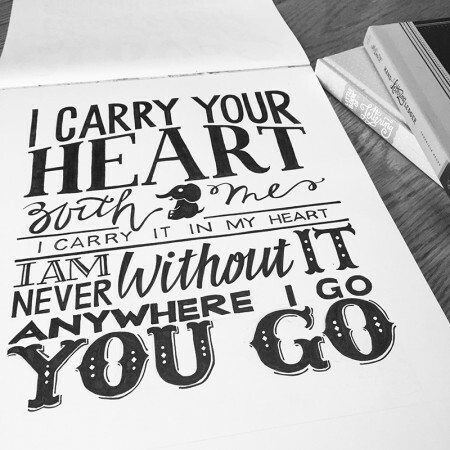 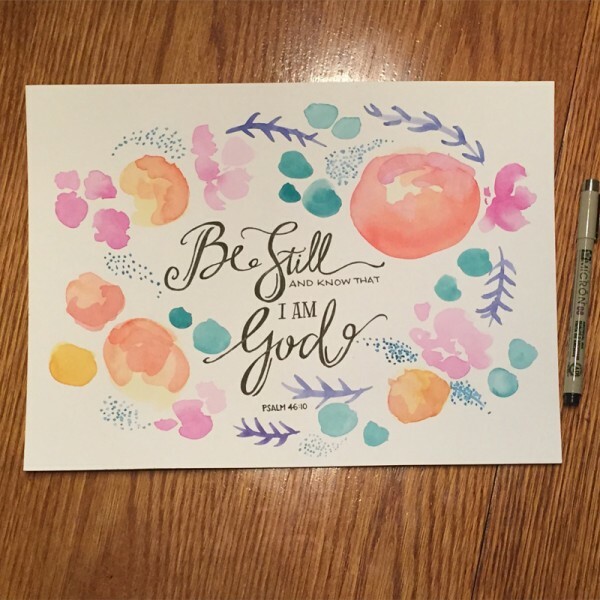 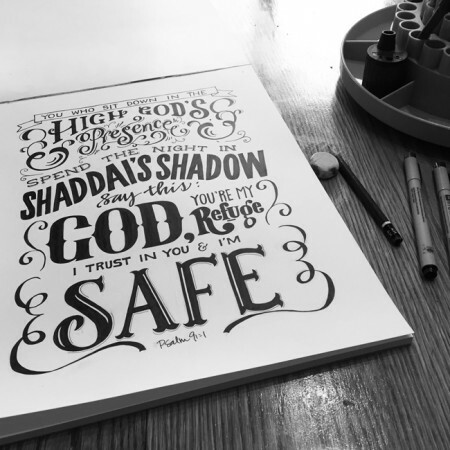 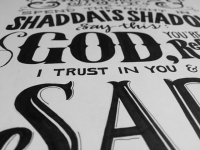 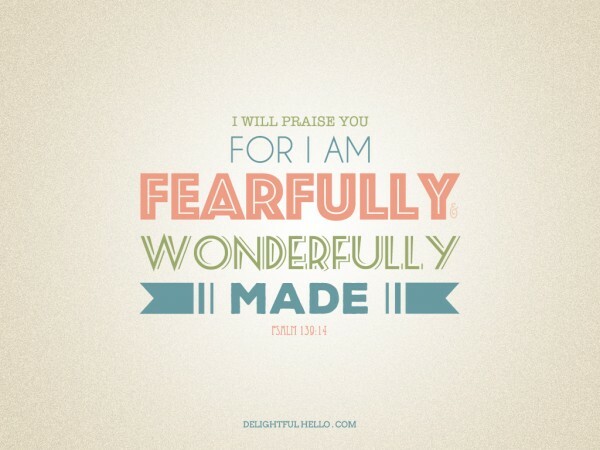 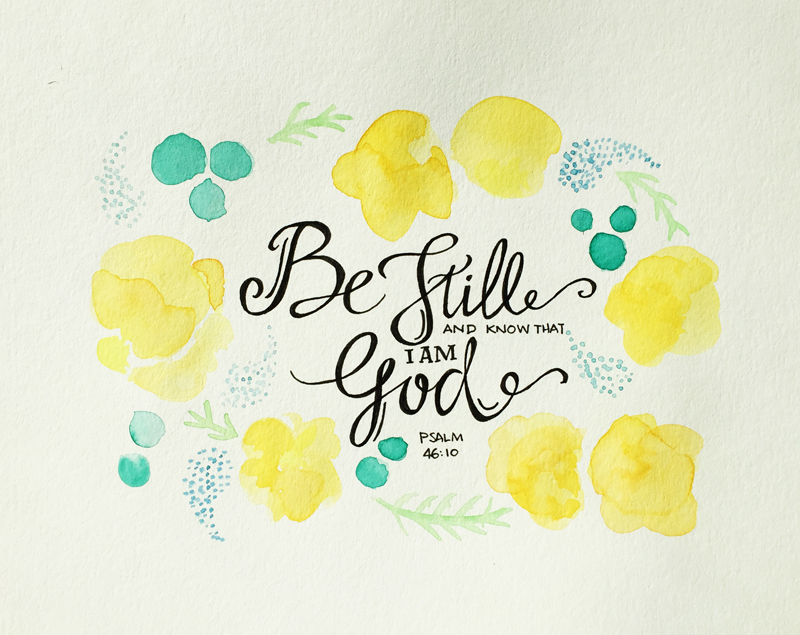 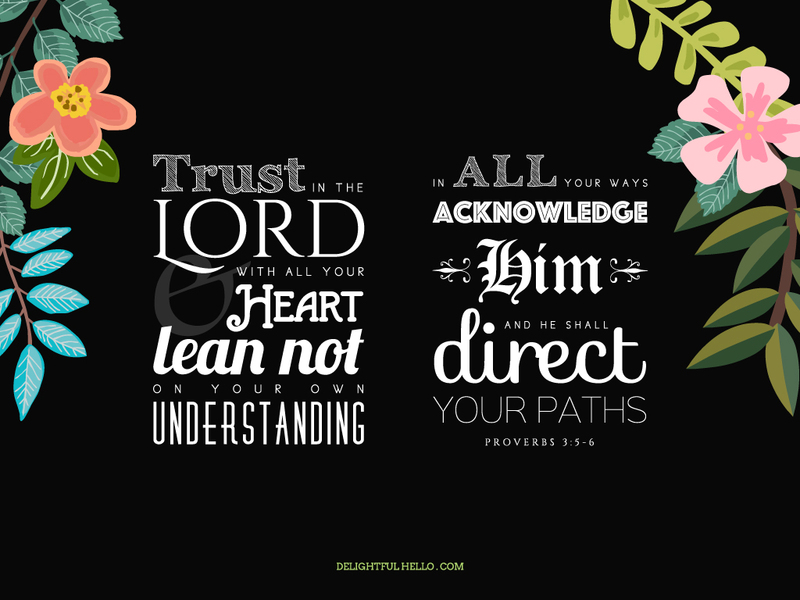 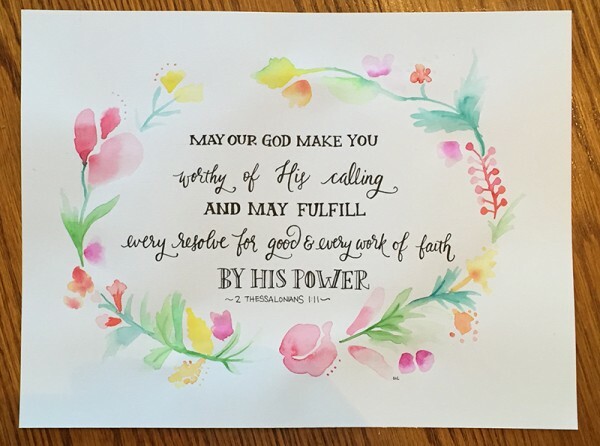 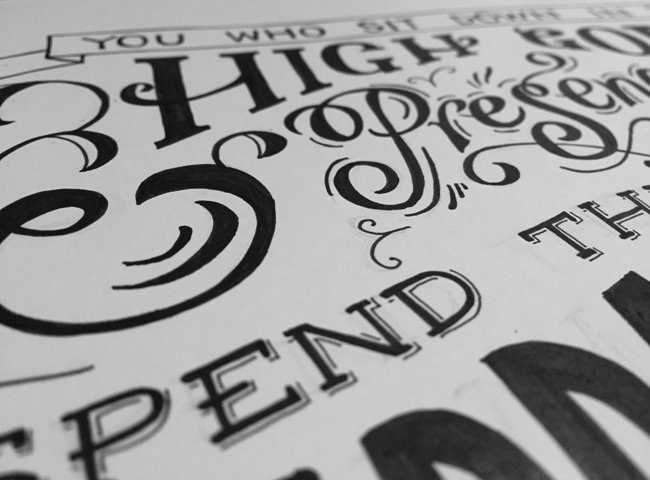 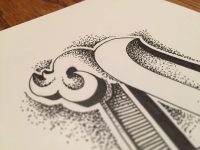 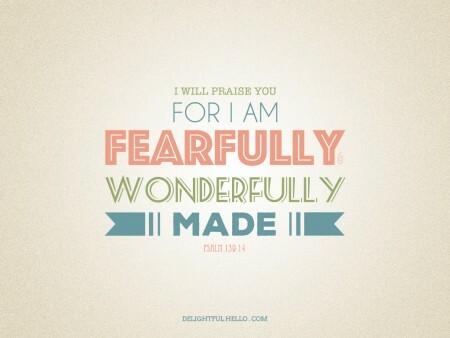 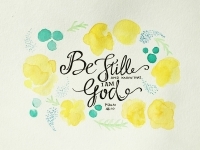 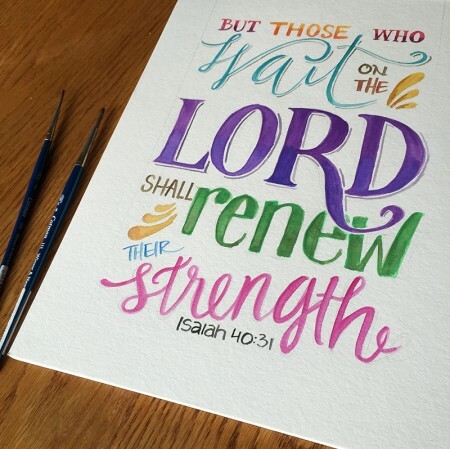 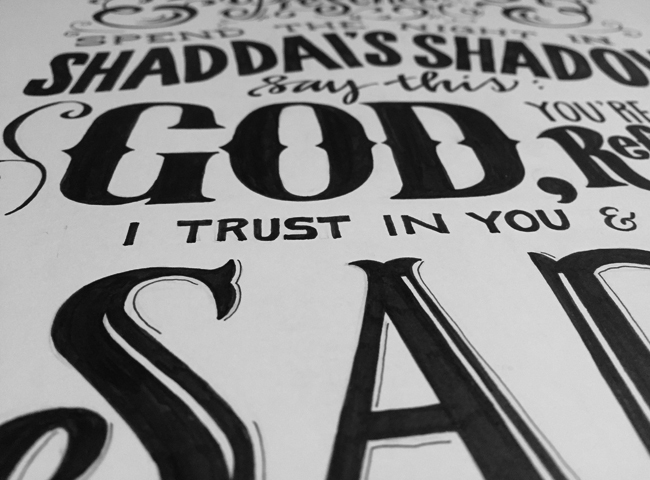 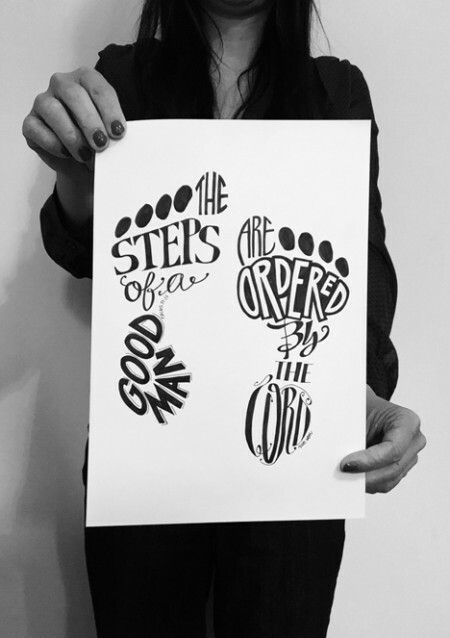 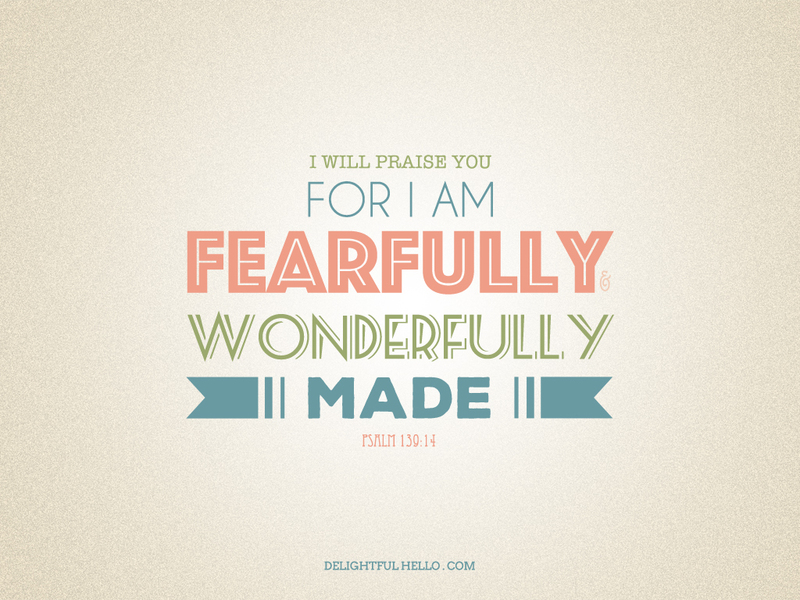 Custom hand lettering artwork of the Bible verse, Psalm 91:1-2, from the Message translation. Delightful Hello is a community blog written by moms who want to share their parenting journeys, tips & tricks, recipes, creativity and inspirational thoughts. They wanted a logo that was friendly and inviting just like their name, but with colours that give boldness and strength. 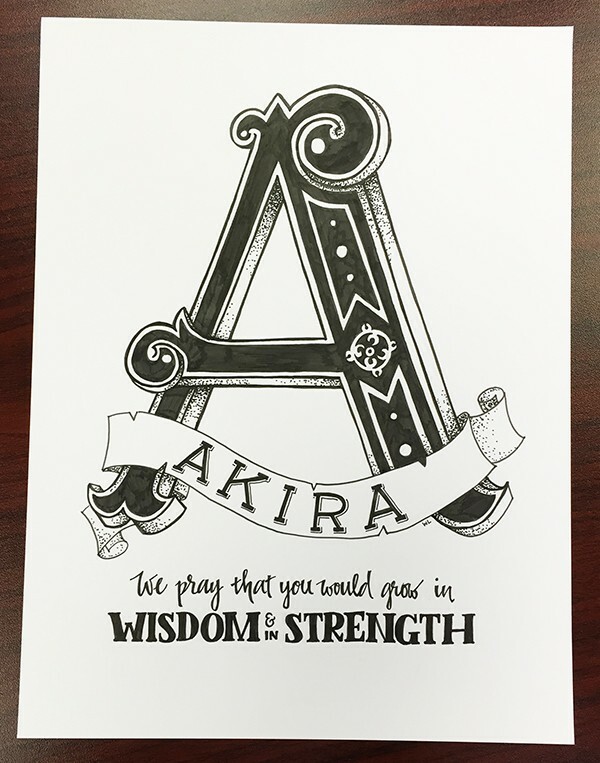 Amanda came to us for a logo that speaks of the special type of consulting services that she provides. 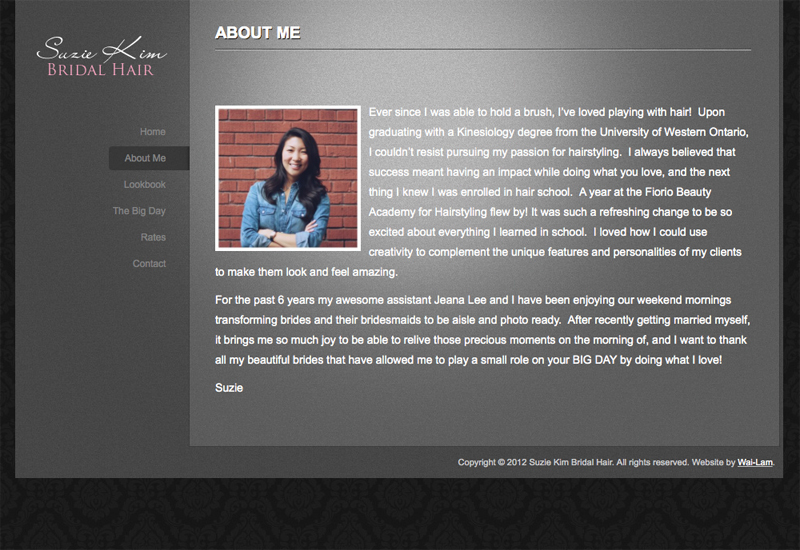 One of her specialty is to use music as a consulting/counselling method. 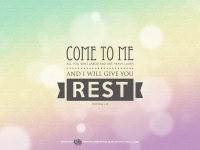 Since counselling’s ultimate goal is to help the individual come to a place of rest, it only makes sense to use the music note “rest” as part of the logo! 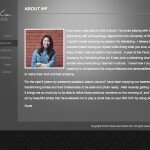 Shannon is a Registered Massage Therapist that decided to establish her own business after being an RMT for over 10 years and came to Ark75 for a branding solution. After many rounds and many tough choices (this is from Shannon! 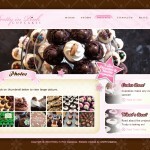 ), Shannon finally decided on this logo which gives her the flair and simplicity that she wanted in a brand that best represents her and her business. 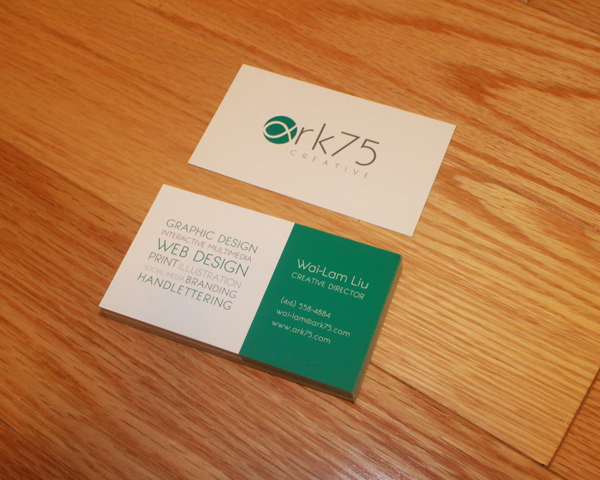 © Wai-Lam Liu and Ark75. 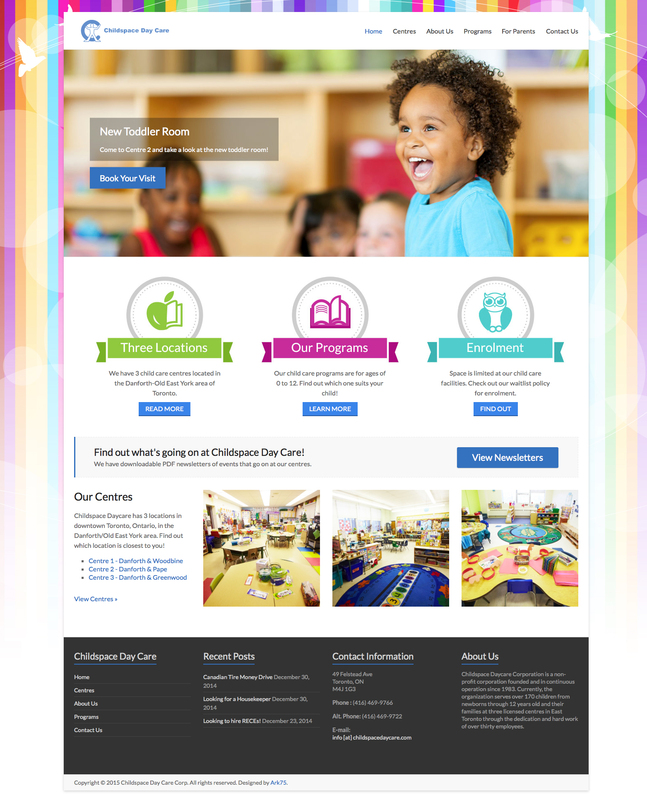 Childspace Day Care came to us to look for a website solution that allows them to have a custom designed site and the ability for their team to make website content updates. 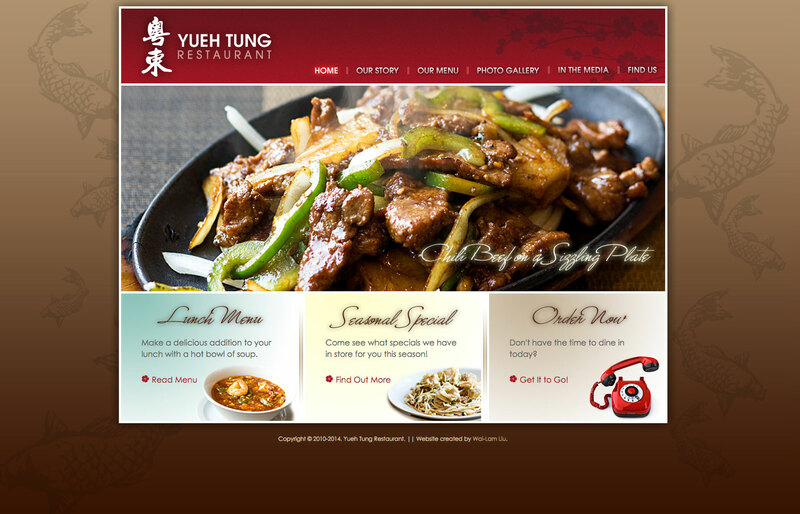 The previous website lacked colour and engaging images, so we provided a solution that maximizes their marketing and still allow their team to make updates through a CMS. 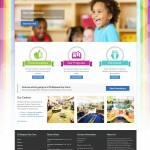 This is a custom designed WordPress site with functionalities that include: a gallery, event calendar, member login and roles management. 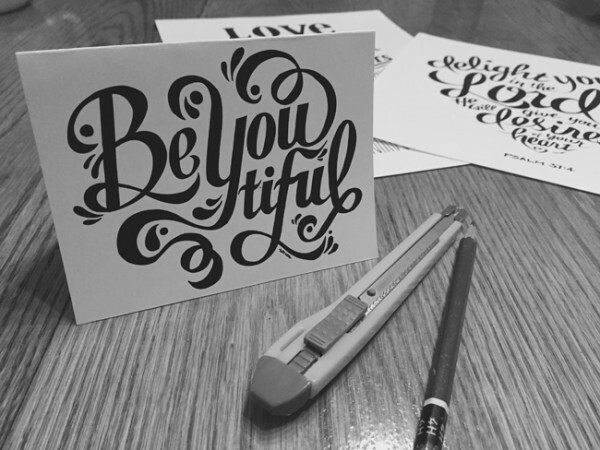 Designed for an inspirational series at Delightful Hello. 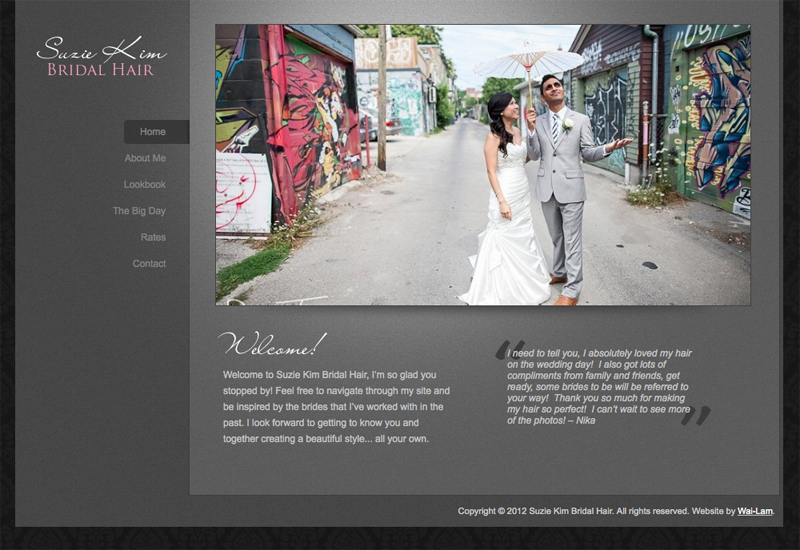 Suzie Kim is a very talented bridal hair dresser located in Toronto, Ontario. 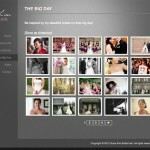 Due to the number of weddings she helps to make the brides look amazing on their special day, Suzie needed a solution that allows her to make updates. 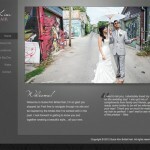 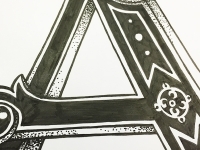 We decided to use WordPress along with an added gallery plugin. 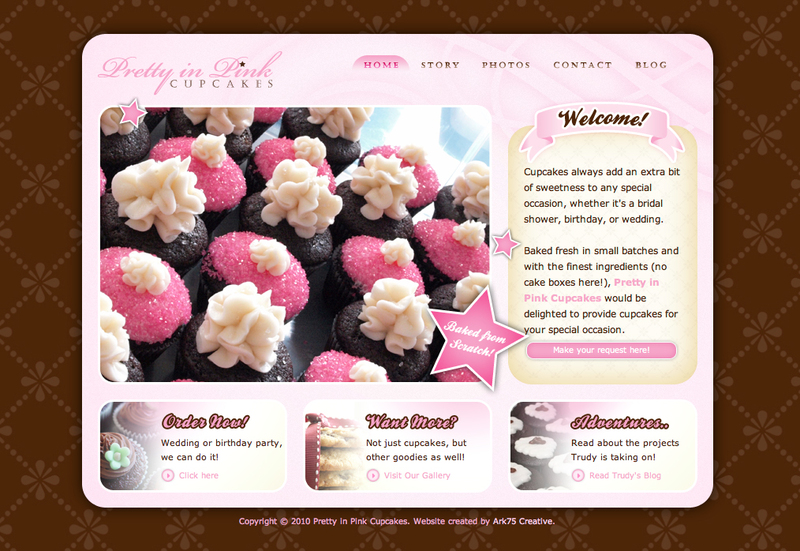 There were a few customization options with the theme that we have chosen and gave Suzie the perfect website that is elegant. 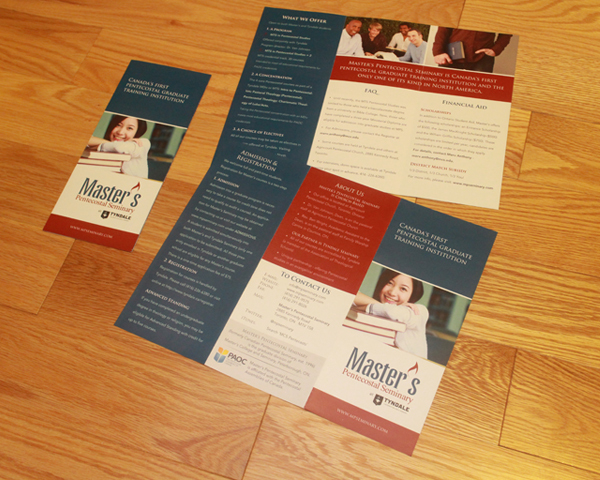 With Master’s increased number of courses offered at the seminary, we could no longer fit the courses in the brochures, so we’ve decided to remove the course list altogether and produced a more generic brochure, rather than a year-specific brochure. 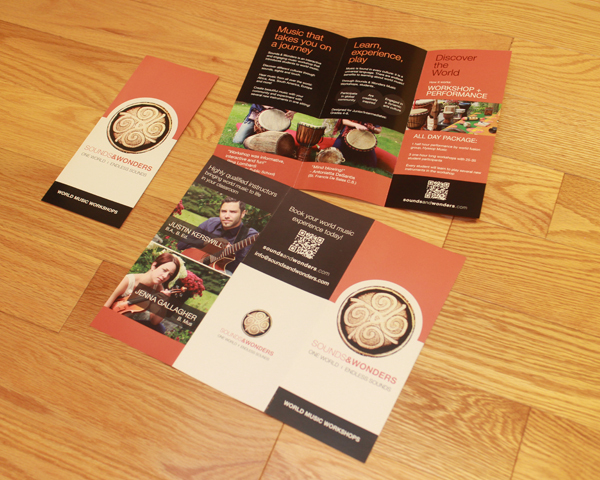 This saves on design costs (sad for us, but great for the client!) – We’re always looking out for our clients! 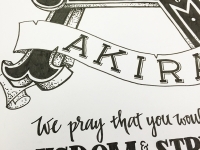 Probably the first official Ark75 client! 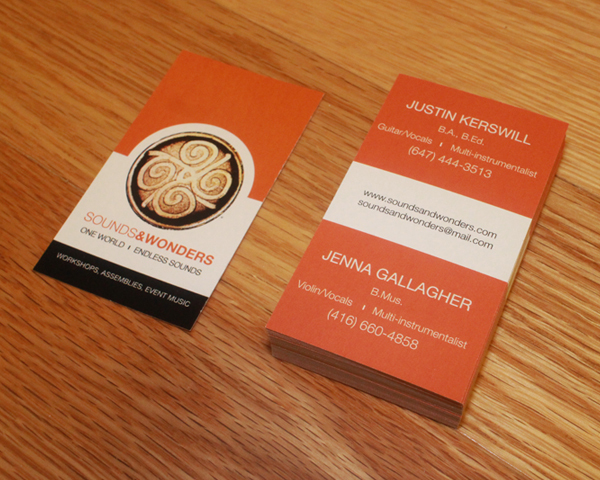 Sound and Wonders is a duo team of two very musically talented and gifted individuals who offer music lessons and performances. 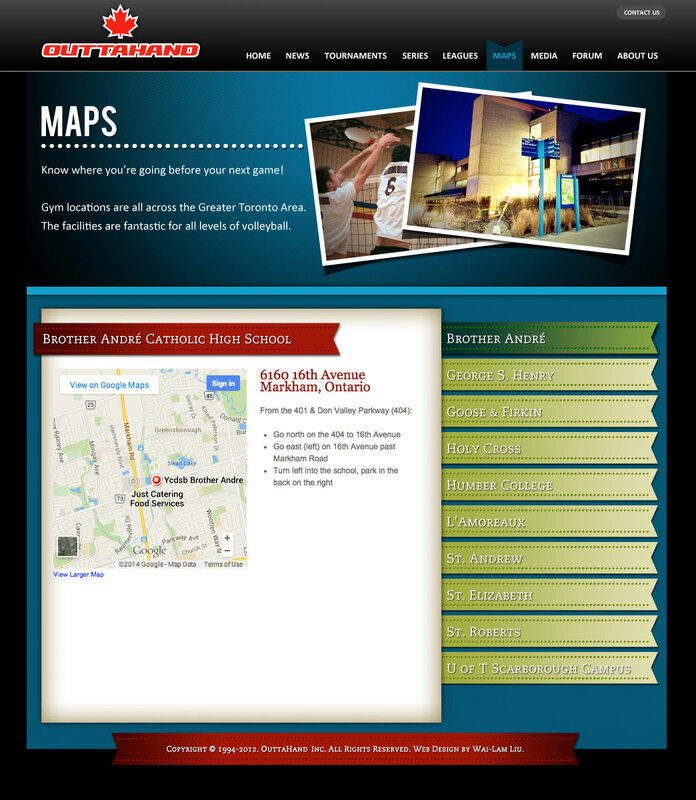 Check them out if you ever need some great live music at your next event! 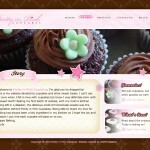 Pretty in Pink Cupcakes was a home business run by a lady before she had kids! 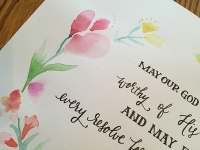 With 2 boys later, it was just impossible for Trudy to keep her business going, but it was such a cute design that we need to show case the work and therefore it’s archived! 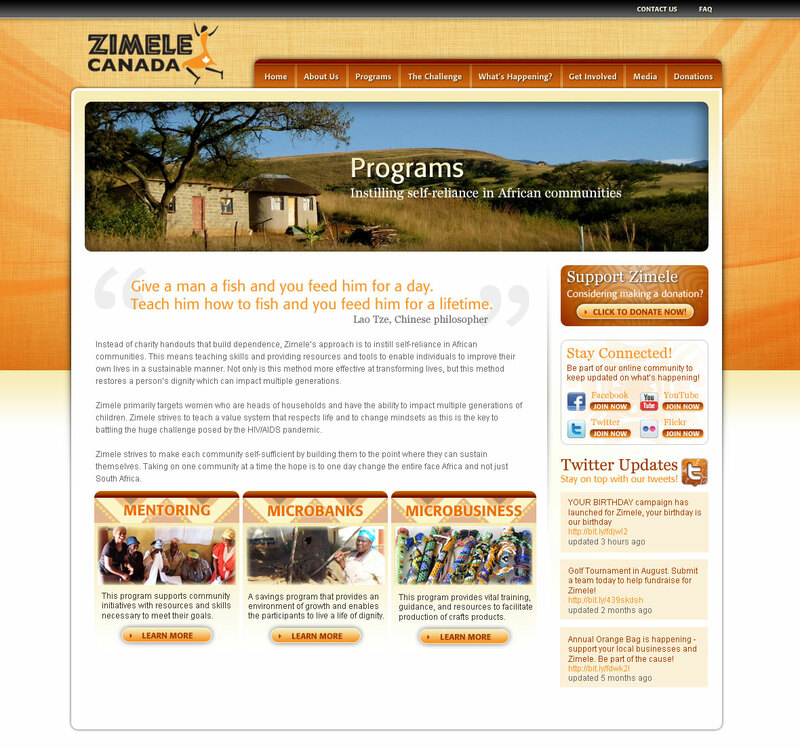 Zimele Community Canada is the Canadian network in the large Zimele Community. 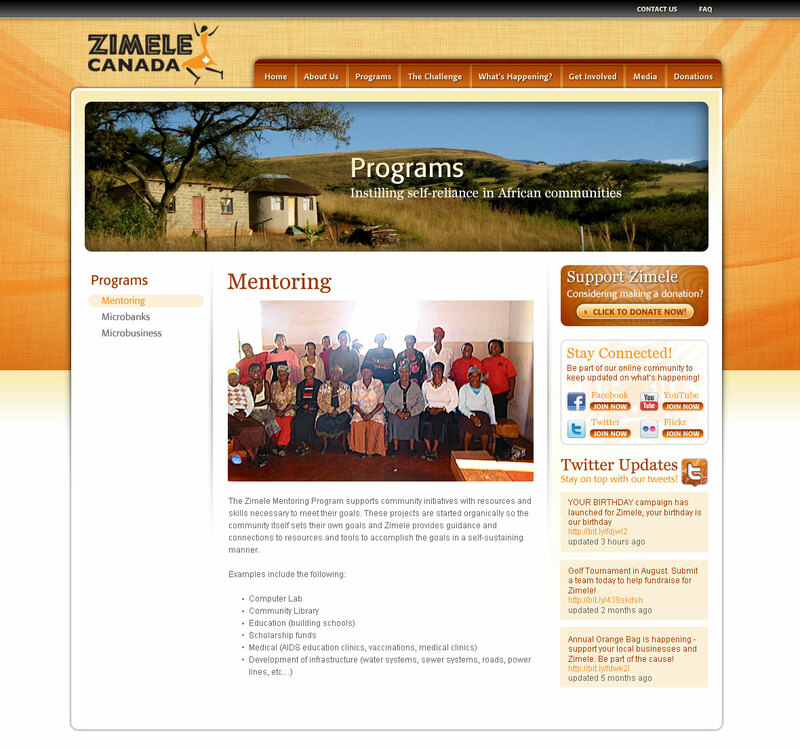 This community is focussed in helping women in the African communities to gain valuable skills so they can become self-reliant which is very rare in poor African communities. 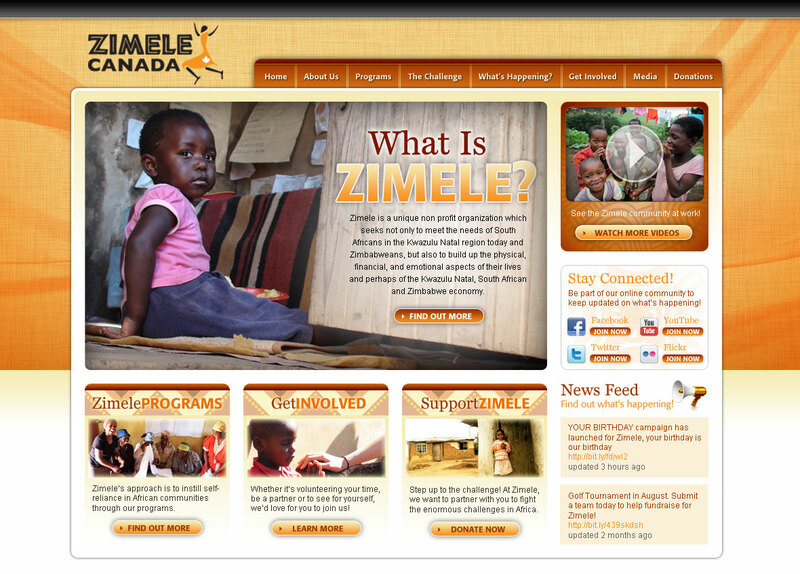 Zimele Canada decided to have its own website apart from Zimele USA because they have their own events and fundraising campaigns that are independent from the USA network. 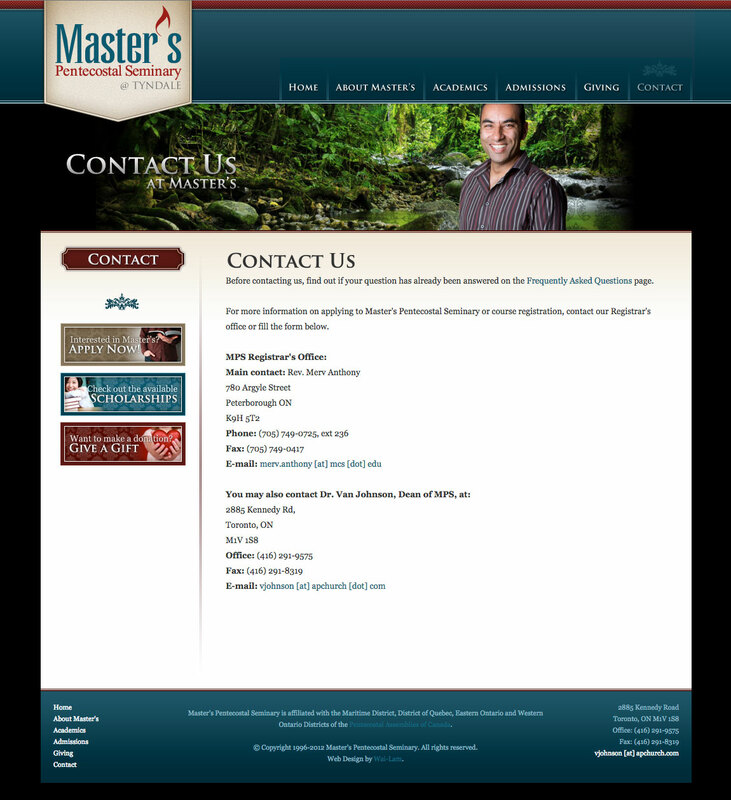 They, just like many of our clients, want to make updates to their website without the costs of a CMS. 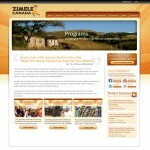 Zimele Canada also has videos that they want to add as part of their media page. 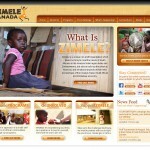 At the time of the website built, Youtube and Vimeo were not popular yet, and Zimele would like to have their videos remain in high quality, have their own playlist. 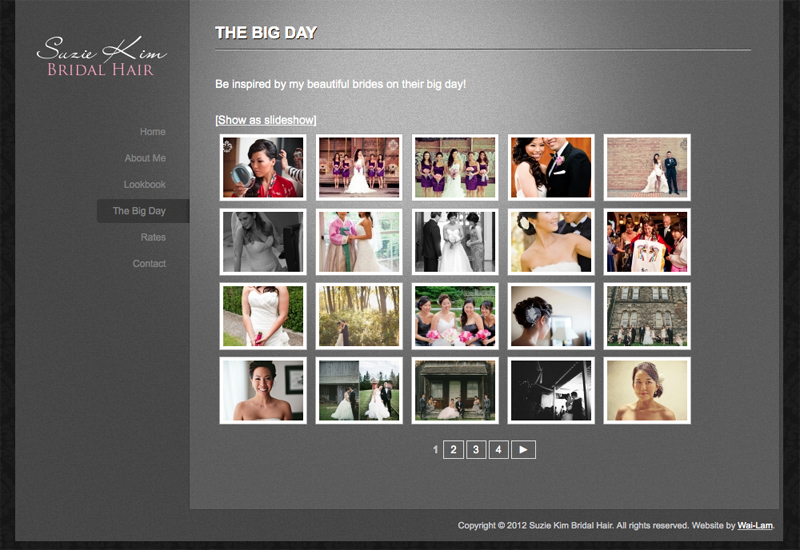 So Ark75 used Flash to build the media page. 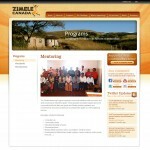 The Flash application allows Zimele to export their own FLV videos, dropped them into a folder, and the video will automatically get updated on the playlist in the media page. 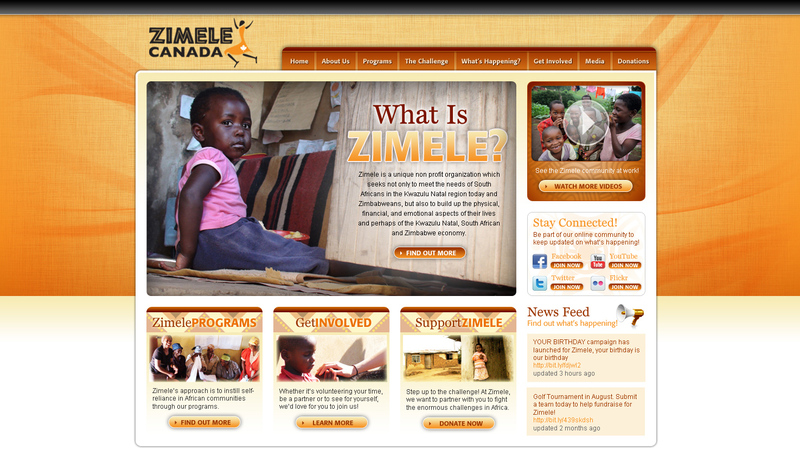 Eventually the Zimele network would like unity among all their websites, so the current Zimele Canada website uses a design that is align with Zimele USA, however the 2010-2013 website files are still functional and are stored in the above archived link. 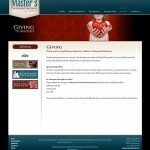 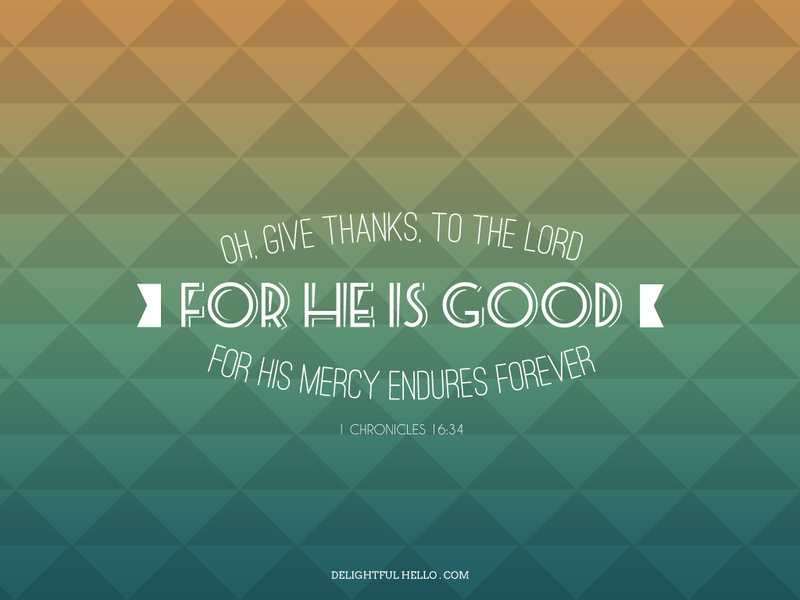 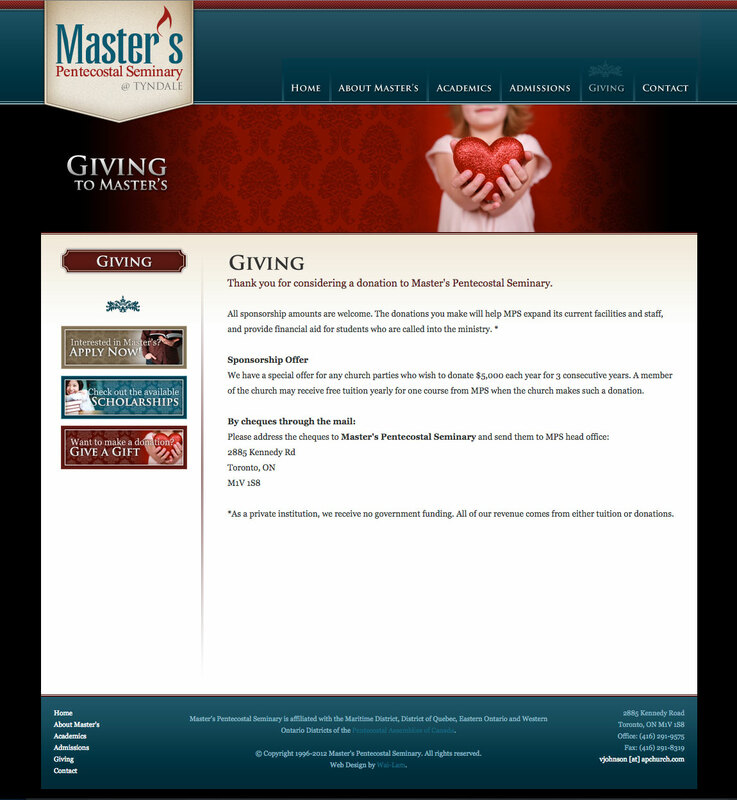 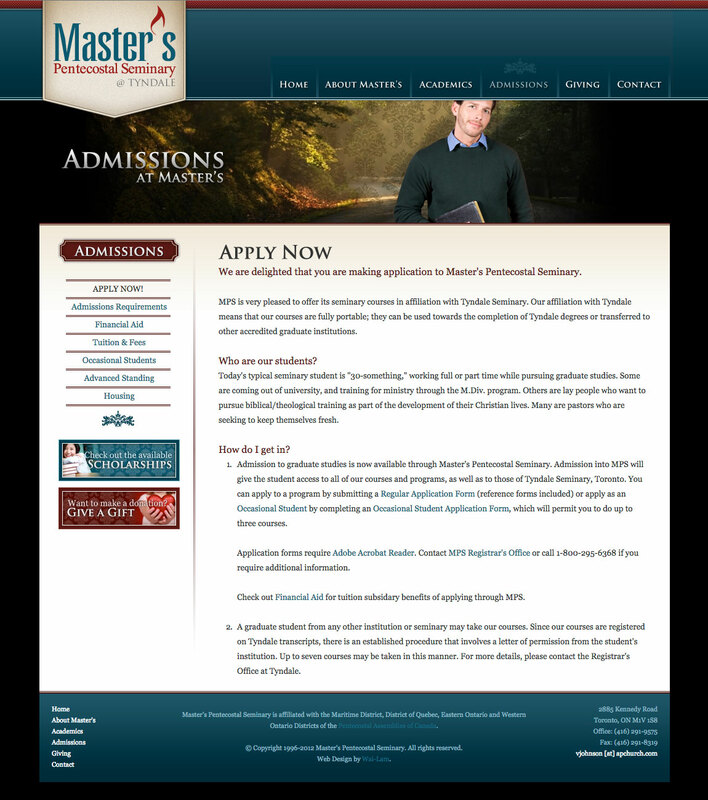 Master's Pentecostal Seminary is a church-based Bible school located in Toronto, Ontario. 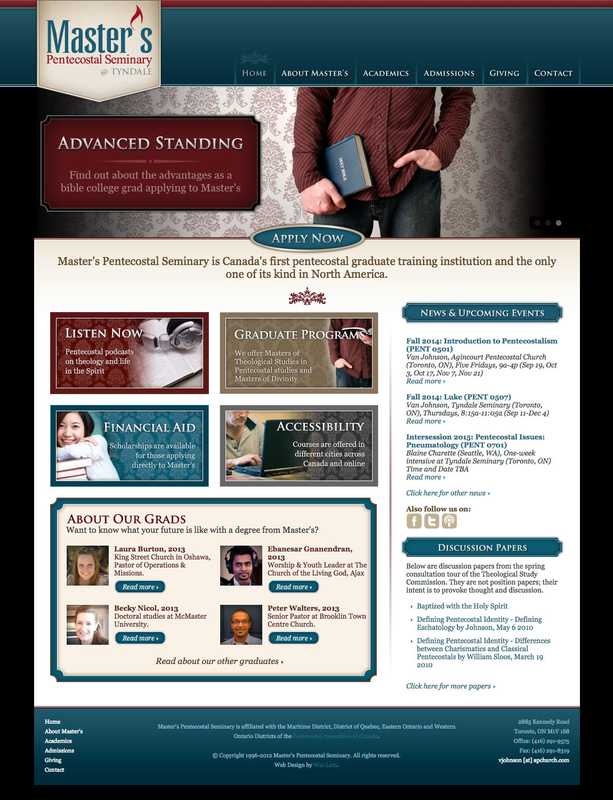 Students enrolled through Master's allow them to complete their post-secondary degrees at the partnered Bible college - Tyndale - and specialize in the Pentecostal stream. 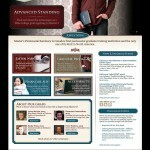 This give the students to receive accreditation with Pentecostal Assemblies of Canada. 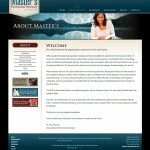 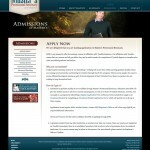 Master's website purpose to stand out as a college of its own, therefore a website with its own identity and branding is important. 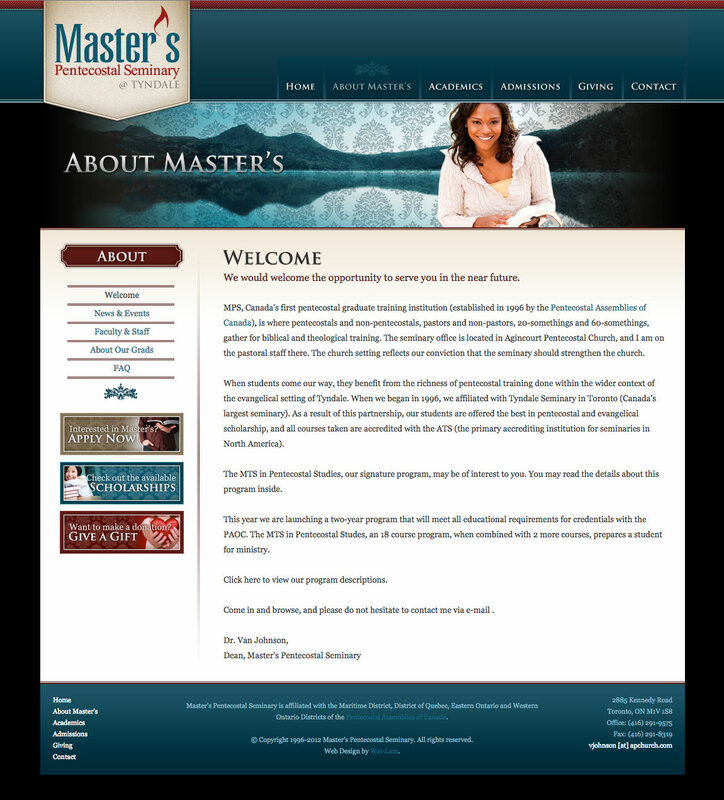 Master's, just like Outtahand, want to be able to make updates without the costs of CMS, the solution was to use PHP again to allow Master's staff to update a text file and content on the website will be updated. 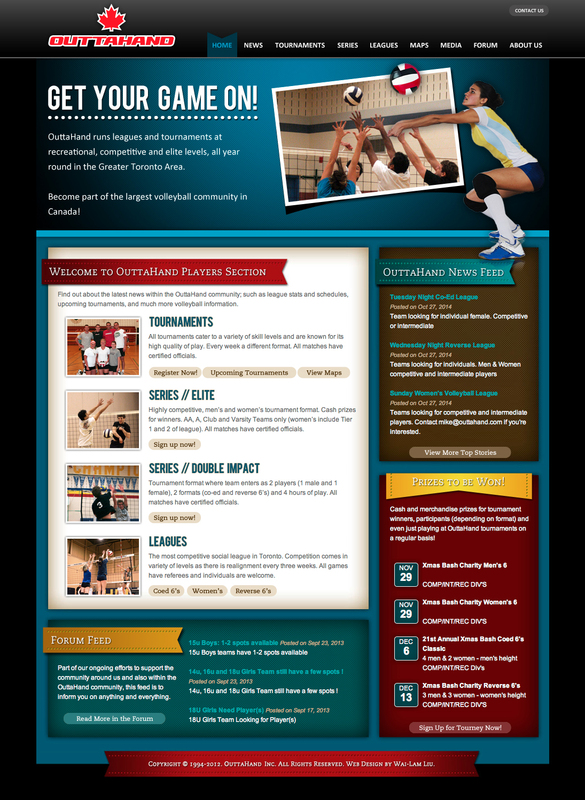 The client also has the ability to drag and drop MP3 and PDF files through using an FTP program and the website automatically gets updated with these files. 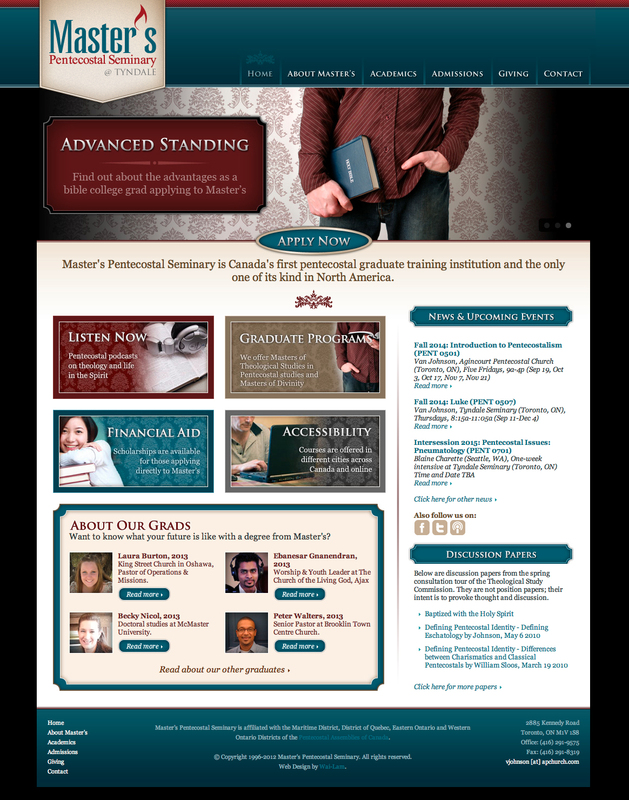 Master's target audience is 50+ working male, but the client also wants a site that appeals to the younger group who just graduated from universities. 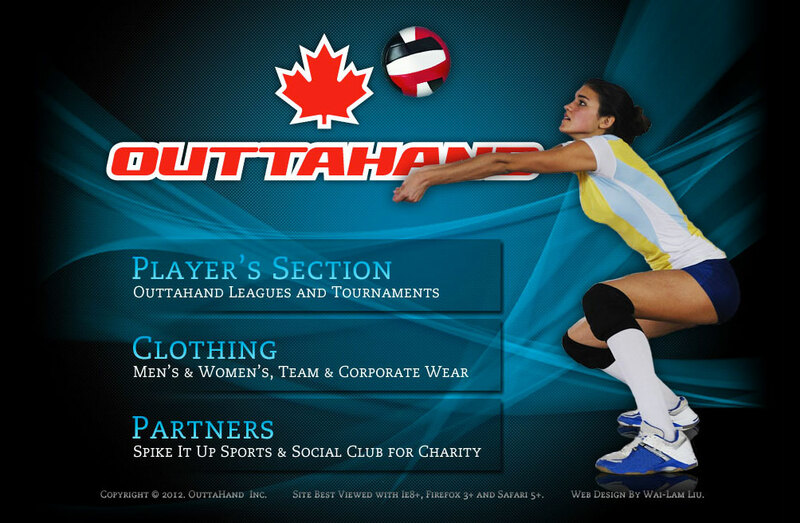 Outtahand is a competitive volleyball league that also runs tournaments across the Greater Toronto Area. 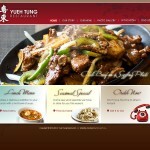 The previous website was difficult to update, not user friendly and unappealing. 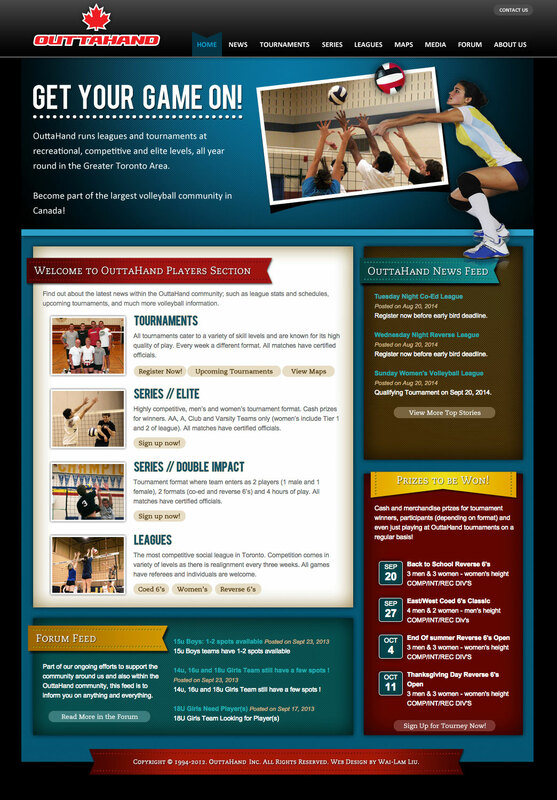 Outtahand wanted to expand their website to contain more media, the ability to update information easily and most importantly, a website that is easy to use by its visitors as the website has high weekly traffic due to weekly tournaments. 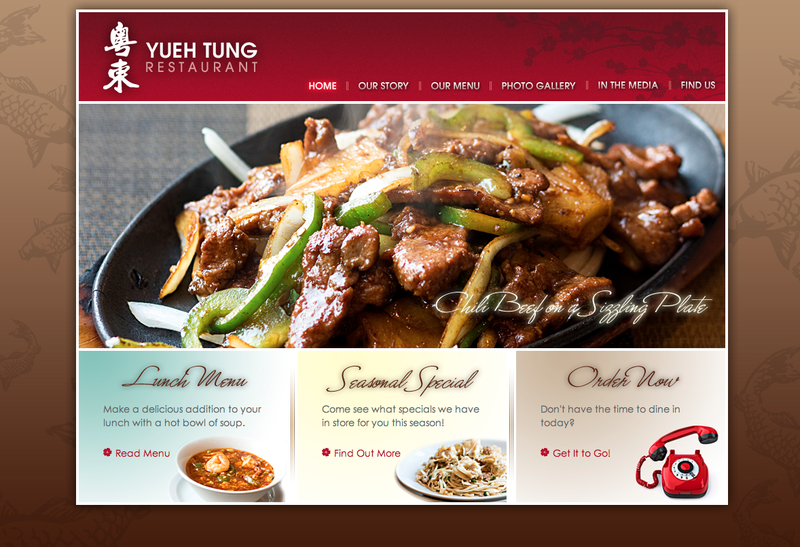 To reduce the initial cost and the possibility of re-doing the website due to new versions of content management systems, Outtahand opted out in using WordPress or any open source CMS. 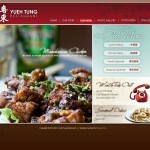 The challenge was, how to build a site so that the client can make updates as well? 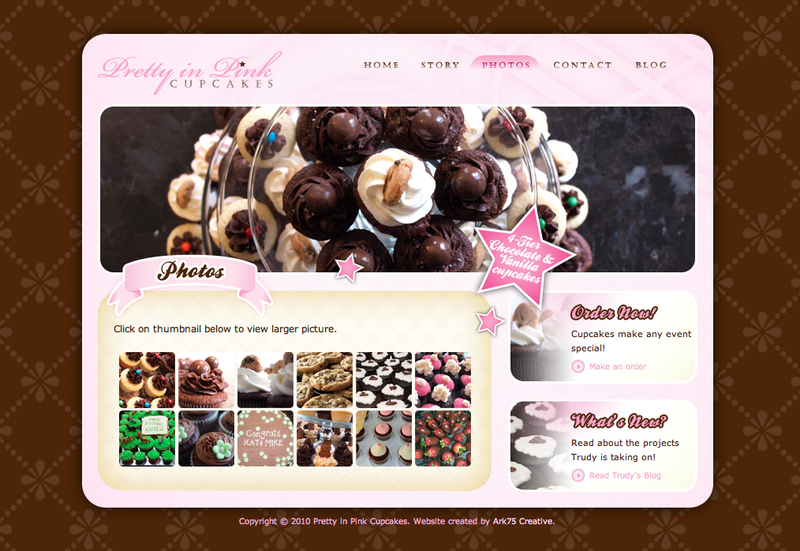 The solution was using PHP to read text files that are easy for the client to update and the longevity of the site will be upheld. 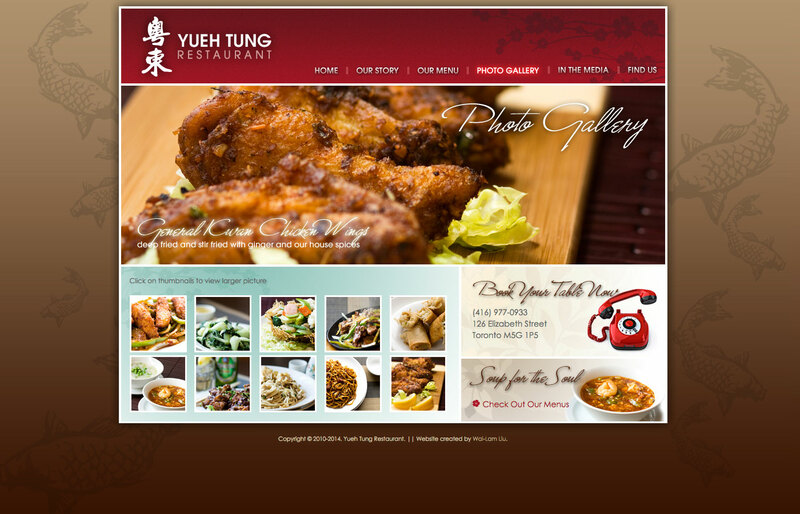 Yueh Tung Restaurant is a family-owned restaurant in downtown Toronto that serves authentic Chinese-Hakka style dishes that includes lunch and dinner meals. 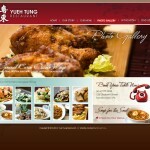 With it’s new renovations made back in 2010, the owner of the restaurant sought a new website to accompany the new modern look that the restaurant has took on. 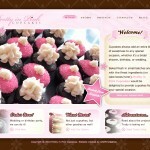 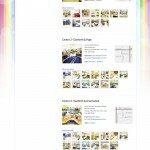 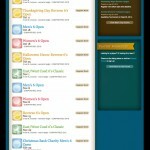 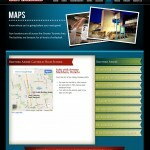 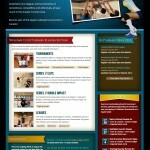 The website allows the client to upload their new menus on their own.